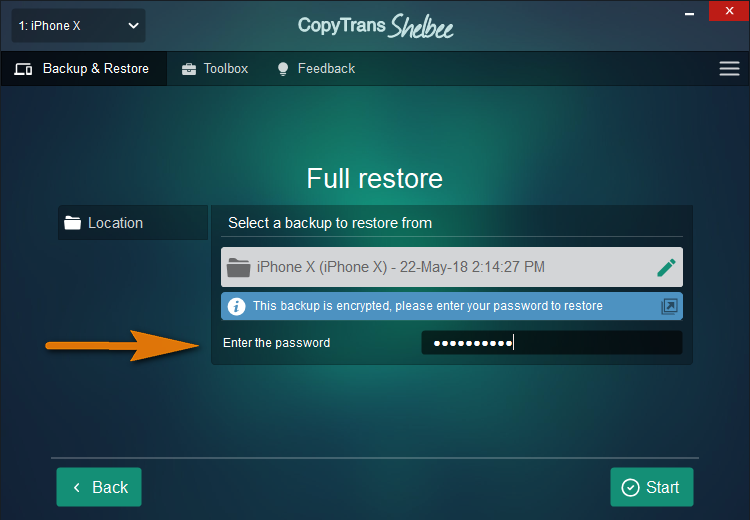 If the last time you backed up your iPhone, iPad, or iPod Touch via iTunes or via CopyTrans Shelbee, you enabled backup encryption, this means that your device will request all subsequent iOS backups – including the ones made with CopyTrans Shelbee – to be encrypted. 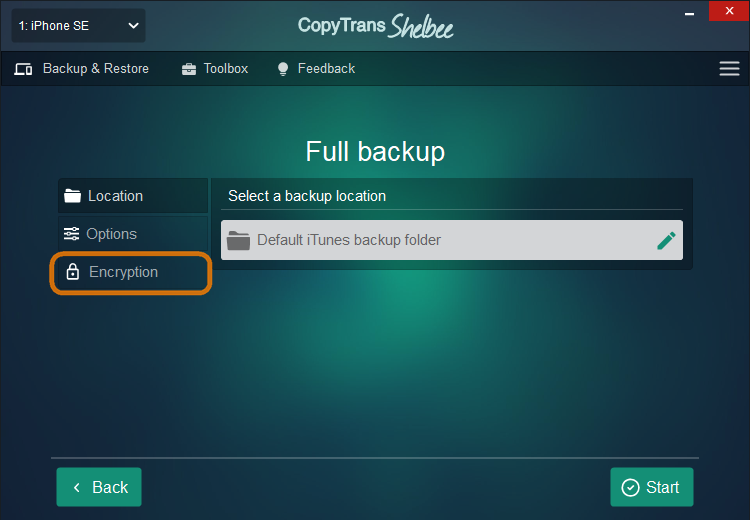 You can find the encryption option in CopyTrans Shelbee by navigating to Backup > Full backup and clicking the “Encryption” button. 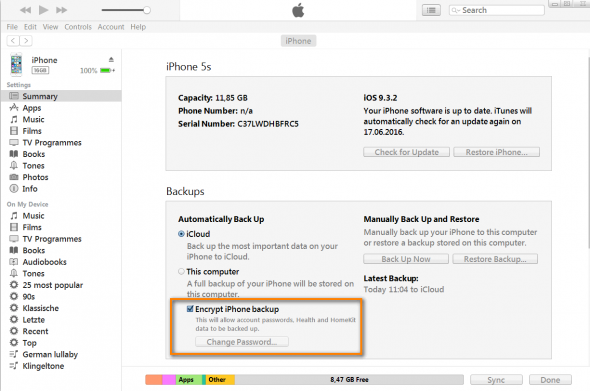 To secure the iPhone backup with a password, (1) click the “Add password” tab, (2) create and confirm your password, (3) click “Apply” and (4) effectuate the backup by clicking “Start”. To change the backup password, (1) click the “Change” tab, (2) enter the current password, (3) create and confirm your new password, (4) click “Apply” and (5) effectuate the backup by clicking “Start”. NOTE: password changes will only take effect after the backup begins. To remove the backup password, click the (1) “Remove” tab, (2) enter the current password, (3) click “Remove” and (4) begin the backup by clicking “Start”. When you restore from an encrypted backup in CopyTrans Shelbee, you’ll be asked for a password to unlock the backup.